For many of us, the world today seems to have changed beyond recognition. Almost every day, we hear stories of discrimination of some kind of the other, based on one’s faith, skin color or choice of clothes. It’s scary for Moms like you and me, wondering what kind of a world our kids are going to inherit. We want our kids to grow up to be loving human beings, respectful and tolerant of differences in others. It’s a big ask, but it’s not something we can’t achieve! 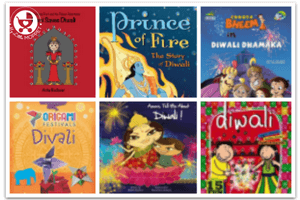 We think books can be powerful instruments in social change, especially for children. Young kids have impressionable minds that need right direction. 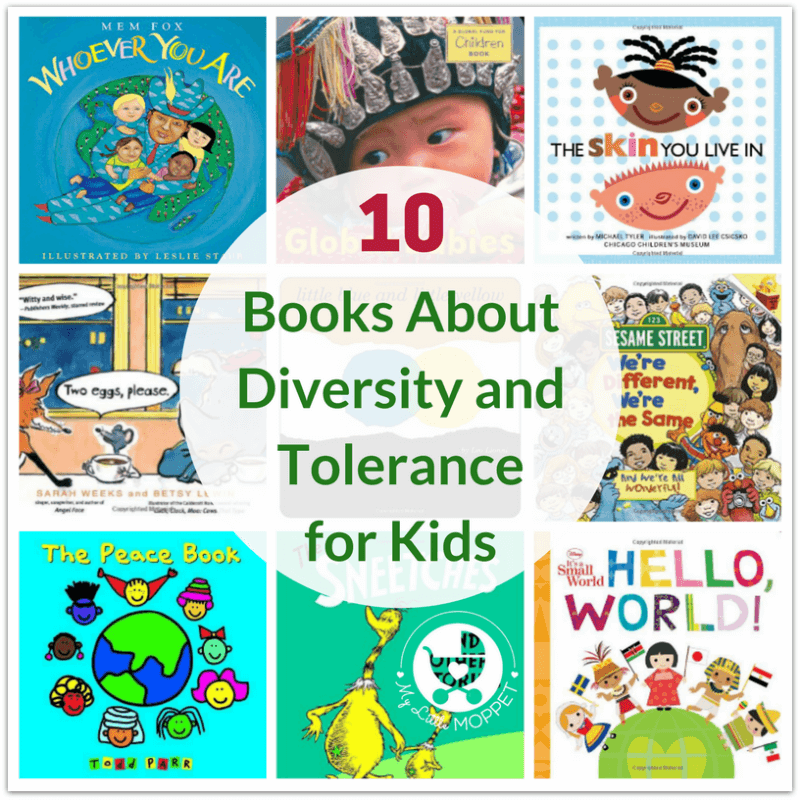 That’s why we’ve put together this list of 10 books about diversity and tolerance for young kids. 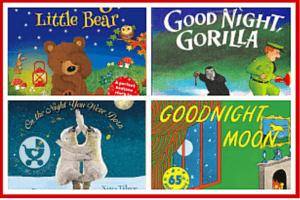 There are books here for babies to preschoolers and many of them retain their charm even when the kids are much older. 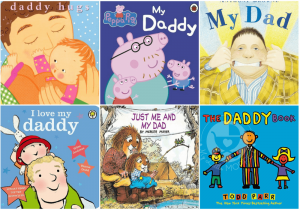 If you ask us, quite a few adults would do well to read these too! 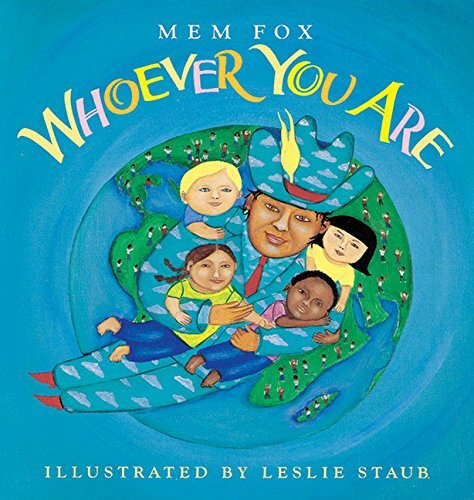 This lovely book is a perfect book to start the topic of compassion and tolerance with your toddler. With illustrations that resemble kids drawings, the book is instantly attractive. 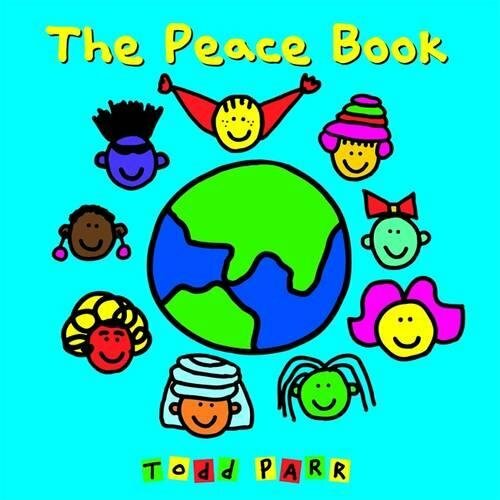 The book talks about what peace means – to listen to different kinds of music, read all kinds of books – basically to keep an open mind!  If you’re just starting this conversation with your child, this book is a must have! In a country obsessed with fairness, our kids are bound to come across people preferring lighter skin or appearing sad when someone’s skin is dark. 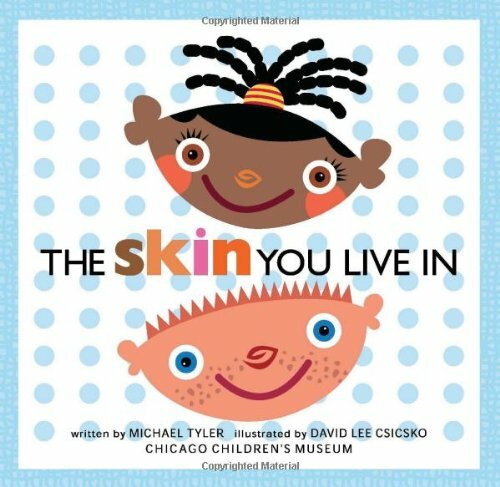 This cute book helps our kids realize that our skin is something you live in, sleep in and snuggle in. 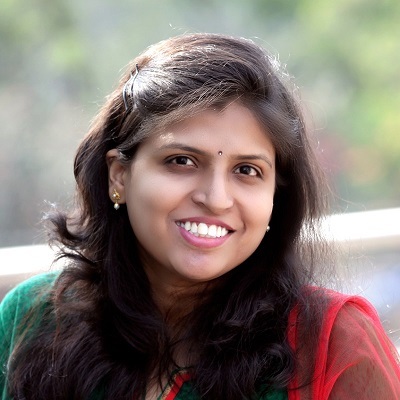 The book talks about all skin tones in child-friendly language – pumpkin spice skin, butterscotch skin. It’s a simple way to help kids realize that there are all kinds of skin tones, and they all serve the same purpose. Color makes no difference. Who doesn’t love Sesame Street, right? 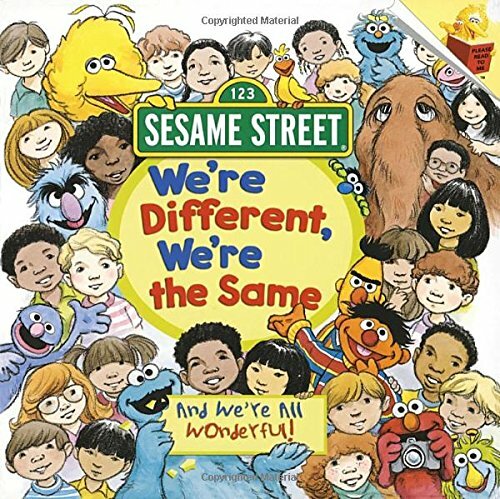 In this book, the lovable characters from this street talks about how similarity and differences can coexist. I have an nose, and so do you – but they’re not the same shape! If you think kids witness too much discrimination based on the ideal of a ‘perfect’ way to look, this book should help. It makes them understand that it is our differences which make us unique. 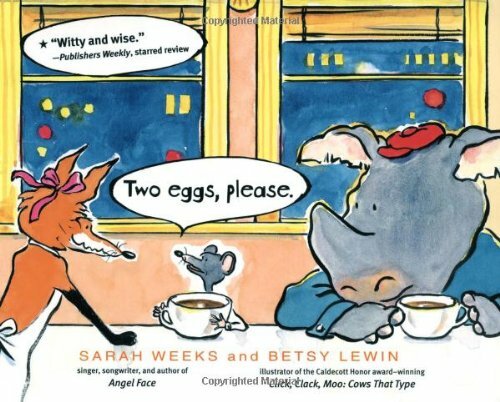 This picture book is a delight to look at and to read! The illustrations and photographs are gorgeous, and the text is in poetry. The book talks about how we all feel pain, love and happiness in the same way, wherever we live, however we look or live. It’s a beautiful book celebrating the commonality of human emotions and is simple enough for young children to understand. Yes, it is, and it’s great to know how to say Hello wherever you are! This board book by Disney is perfect for infants – the bright colors are sure to capture their attention! 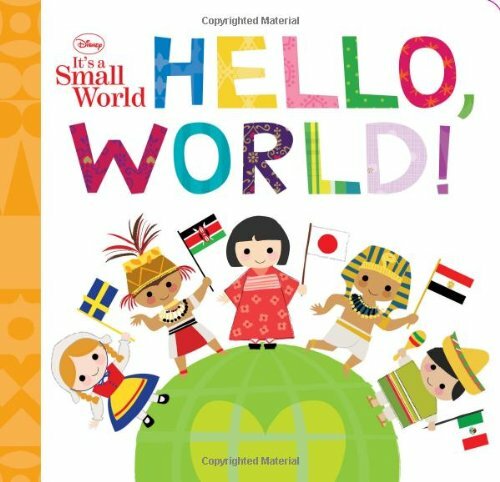 The book teaches us to say ‘Hello’ in different languages, so you’re not alone anywhere in the world! 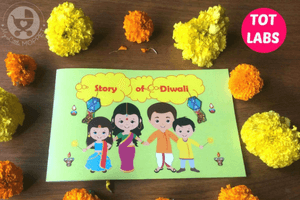 A cute book for youngsters to know that the same thing can go by different names, but the essence remains the same. This is a board book meant for toddlers onward, but we think that some adults would do good to read this as well! 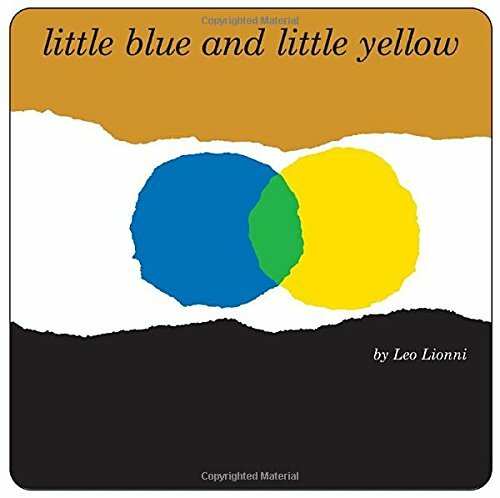 Little Blue and Little Yellow are good friends who get into a big hug only to find they’ve created something new! This is an adorable book to show how we can all blend and work together to create great things, rather than keeping away or isolating others. 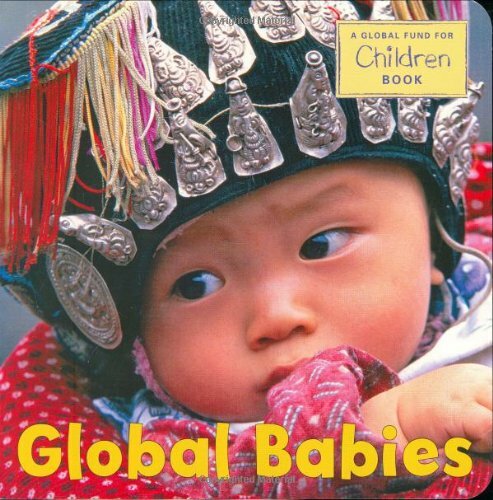 We know that babies love looking at pictures of other babies, so why not make them global babies? 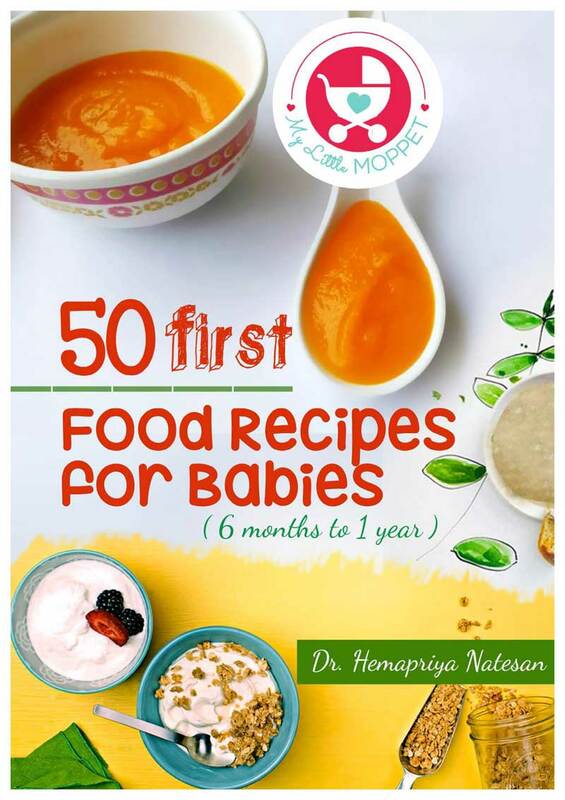 This cute as a button book doesn’t have much in way of text, since the focus is entirely on adorable infants from different countries around the world. 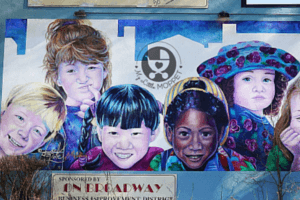 A wide range of cultures and ethnicities are covered, and even kids who aren’t babies are bound to be fascinated by them! Few people can send across a serious message in such a fun but effective manner as Dr. Seuss! 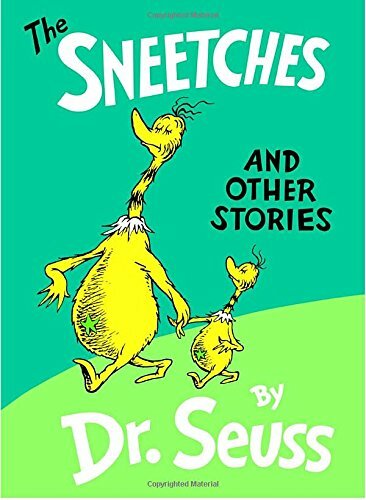 The Star bellied-Sneetches look down upon the plain Sneetches, and other parties come in to take advantage of their prejudices. The Sneetches realize only later that despite their minor differences, they’re really the same inside. We can’t think of a more relevant book for kids in the current global climate, can you? Eggs are a common food across the world, but everyone likes their eggs different! This book is cute and funny and effectively conveys how people can want the same things basically, albeit in slightly different ways. 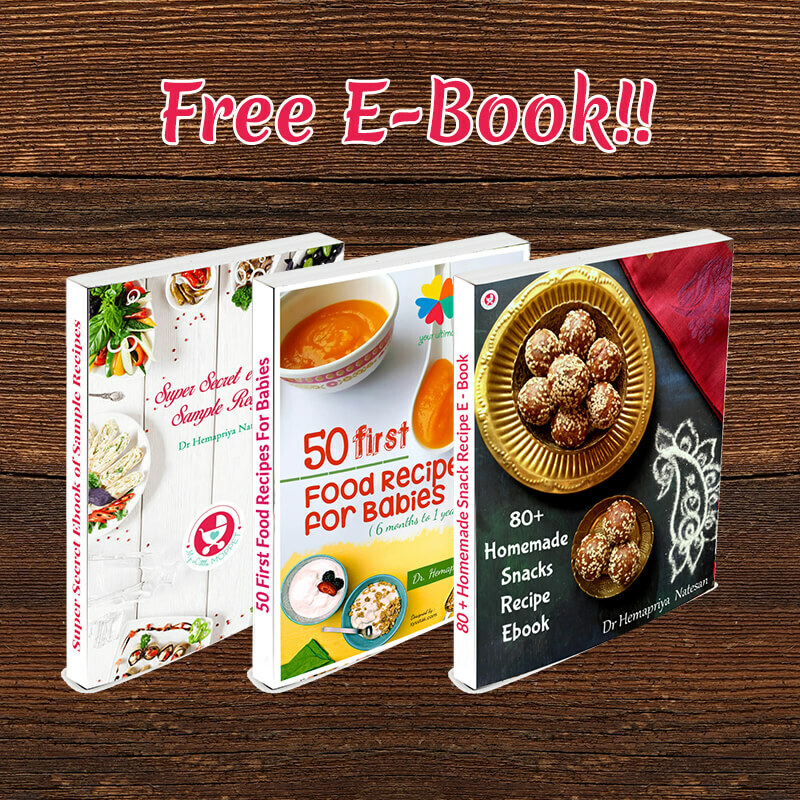 The book focuses on how these differences are just personal preferences and you can have your own without being hurt or hurting anyone else. 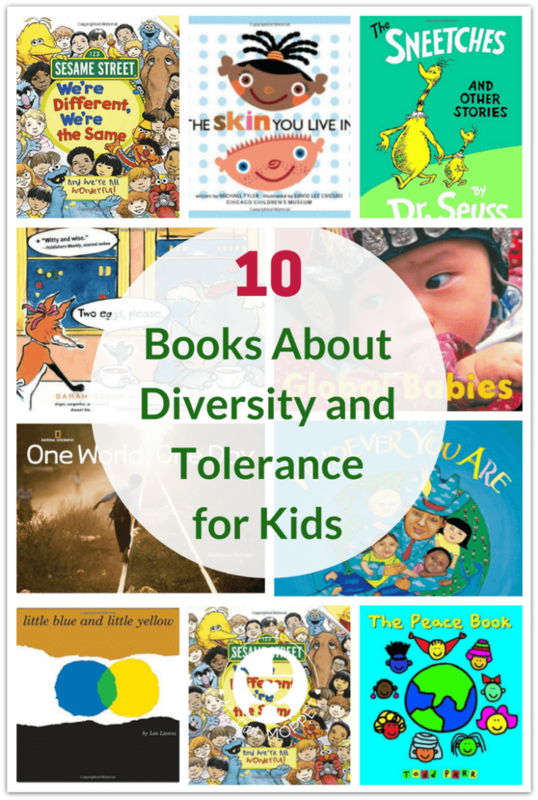 An excellent lesson in tolerance for kids and adults alike! We’d like to end this list with a gorgeous coffee table book that the whole family will enjoy looking at. While it’s a bit pricey in India, it’s worth every penny! 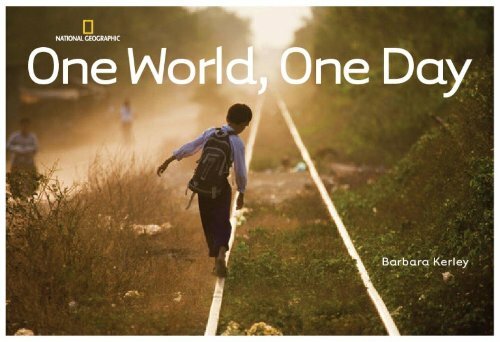 With pictures shot by international photographers, the book details a day in the life of people in different parts of the world, from sunrise to sunset. 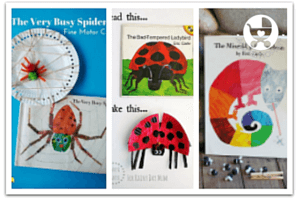 The book works as a picture book for young kids and is great for older kids to explore on their own. Simply reading these books is not going to be enough, although it’s a good start. This needs to be a conversation you carry on everyday. If your kids witness any kind of discriminatory or intolerant behavior, tell them how it needs to be handled. If they find themselves the victim of discrimination, explain that the only way to overcome it is not by revenge, but by fair and tolerant dealings themselves. With directing our kids towards a path of peace, love and compassion, we can be confident we’re raising good global citizens for tomorrow.